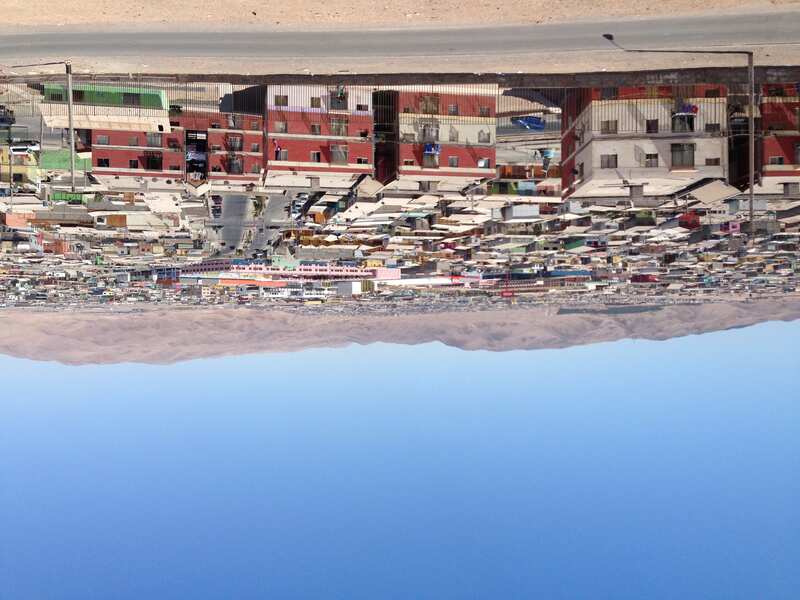 For the first year of my fieldwork, I lived in Alto Hospicio, Chile, a city considered marginal and home to the working poor (as the US class system would call them). I spent the year chatting with neighbors in my large apartment building, kicking balls back to children playing in the street, shopping at the local markets and grocery stores, buying completo hot dogs from food vendors, walking along the dusty streets, and taking the public bus to and from Iquique. Now, for my last few months of fieldwork, I am living in Iquique, the larger port city, just 10 km down the 600 m high hill that creates a barrier between the two cities. This project is based on comparative ethnography, but usually this means comparison across continents, hemispheres, and language barriers, at least. 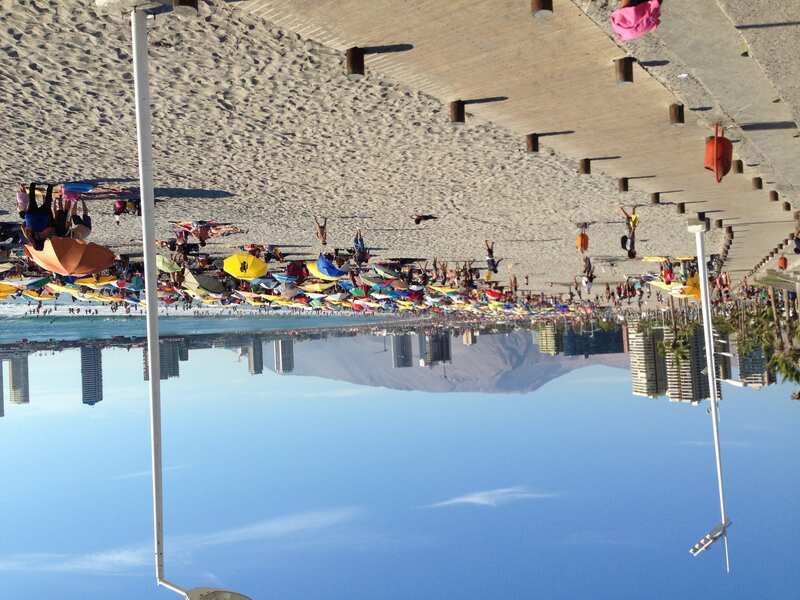 Yet, I have learned a great deal from comparing Iquique and Alto Hospicio, even in just one short month. 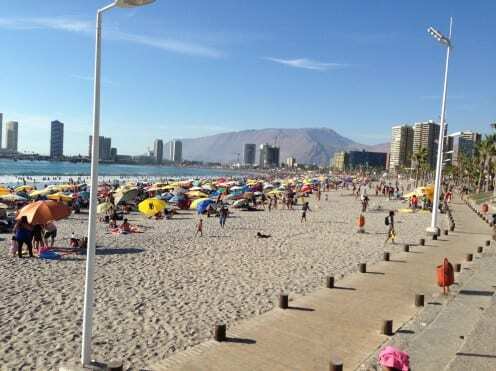 Iquique is more lively, with a US-style shopping mall, many bars and restaurants, more variety in terms of grocery stores, a beach, a casino, and the sort of variety of different jobs and services available in mid-sized cities across the world. By comparison Alto Hospicio seems bare, even barren. There are no billboards there advertising the latest Tommy Hilfiger perfume (available in the TH shop in the tax free import zone of the city). There are no Peruvian-Italian fusion restaurants, or even cuisines like vegetarian, Indian, Mexican, Thai, or Italian alone. There is no theater, no yearly film festival, and—perhaps most disappointing for me last year—bars with happy hour deals on mojitos. But what I know of Alto Hospicio, is that while there is less investment in infrastructure and commercial activity (or even advertisement), it is still a lively place. Neighbors chat, people take Saturday trips to the beach with their family, and friends gather to pass time or celebrate special occasions. 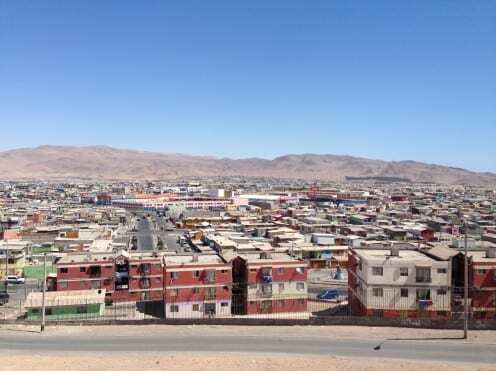 But in many ways the lack of commercial activity gives Alto Hospicio a homogeneity that one does not encounter in Iquique. As I’ve written before, from the very shape of the houses to the clothing people wear, the spectrum of aesthetics is limited. People work in mining, in service industries, or own small businesses such as a corner store. And everyone knows that for “once” (pronounced own-say), the evening tea, the table will be equipped with bread, margarine, sliced cheese, and sandwich meat to accompany the hot tea. And most people seem quite content to share these things in common with their neighbors. I wrote last month that the acceptance and even pride surrounding normativity is reflected on social media. But in looking at the social media in Iquique this becomes even more apparent. Foreign newspaper and magazine links are much more prominent. People post pictures from events they attended or even displaying the new throw pillows they’ve purchased for their couch, while in Alto Hospicio photos taken inside the home are rarely are intended to demonstrate the interior decoration. And the percentage of funny memes is much much higher in Alto Hospicio. None of this shocks me. Coming from a middle-class US background, Iquique feels more like home, and Facebook usage from those residing here looks much more like what my friends at home post. But what this reminds me of is the ways that homogeneity may be working as the world becomes more and more connected. Iquique begins to look and feel like the Midwest of North America (well, with the added bonus of a Pacific Ocean beach), while Alto Hospicio remains very locally focused. That is to say, perhaps certain places are more or less likely to be both homogenized by social media, and have that homogeneity reflected on social media, given their figurative proximity to the global centers (in terms of economics, aesthetics, consumption, services, education, and work opportunities). By looking across all 9 sites of the Global Social Media Impact Study, this may become more or less apparent. We may find that those places that remain on the global “periphery” remain peripheral on social media as well. There may only be a 10km highway separating Alto Hospicio from Iquique, but the differences seem continental.